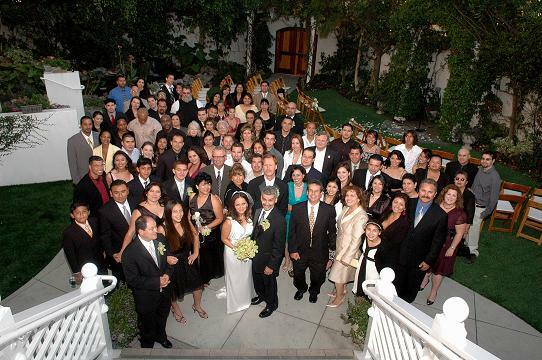 Todd Elliot is a Top and Experienced Wedding Planner Los Angeles for close to 25 yrs. He can help with your pre-planning, day of onsite coordination and assist with any/all professional wedding vendors with his incredible resources over the years. Introducing our New Free Honeymoon service in 2015. In association with our Affiliate Publication called Coast to Coast Newspaper (www.ccnewspaper.com) specializing in Travel and Lodging, we are offering Free Honeymoons to couples when you book your wedding with our Top Rated Wedding Company. Here is how it works: Depending on how much you spend will determine the length and type of Free Honeymoon you will receive. You can choose pretty much any destination of your choice and we will plan your honeymoon for you. All you have to do is blog about your honeymoon with our travel publication and you will be taken care of. We will plan on your lodging, dinners and some fun attractions or activities and you just write your positive experience about it. The more flexible you are on dates/location, the easier it will be. For more information and specifics, please request one of our Free Honeymoon Packages with all the terms so you can provide us with your details of your wedding with your preferred honeymoon destination and dates where you would like to go to. We have done over 500 weddings since we have been in business starting in 1990. We specialize in day of and Pre-Coordination while helping you find all the best wedding vendors with our company with your budget. Free Fitness Nutrition Consultation 60 minute session with one of our Professional Trainers with any Live Band, DJ or Photography Booking. FREE FIRST DANCE LESSON-CHOREOGRAPHY with any booking package with at least 2 vendors plus your choice of the free invitations or fitness session. WHOLESALE FLOWERS-CENTERPIECES-DECOR when you book 3 vendors or more includes free invitations or fitness session). Many of our Professional Vendors can be seen on our Band Page or Other Services Page. Here are the links for the Band page, Ceremony/Cocktail music options and Other Wedding Services. We can help you with your Reception Band, DJ-MC Services, Ceremony-Cocktail Musicians and groups, Professional Photography, Videography and Photo Booths, Catering, Rentals, Flowers-Decor-Centerpieces. Ask about our Promo Wholesale Offer Package, First Dance Lessons-Choreography First Lesson is FREE with any package booked, and any-all other specialty entertainment or unique requests. Todd will help with your timeline, questions, requests and songs with his Professional Promptness, Reliability, Experience and Knowledge. He will work with your budget and offer suggestions how to save money while he saves you time. Todd can also help with Venue suggestions if you are still searching. Many references can be seen on our testimonial page and more references available upon request. Please check out our Frequently Asked Questions -FAQ- for more answers to popular questions. Our pricing is very competitive and affordable while we offer great Discounted Packages and Extra Bonus Services other companies don’t offer. Please call or email us with your specifics so we can get you a quote and/or give you options.